April 18, 2019: As the 50th anniversary of Stonewall is being commemorated, the Project is focusing on local anniversaries of historically significant events that have framed St. Louis vibrant LGBTQIA+ history. 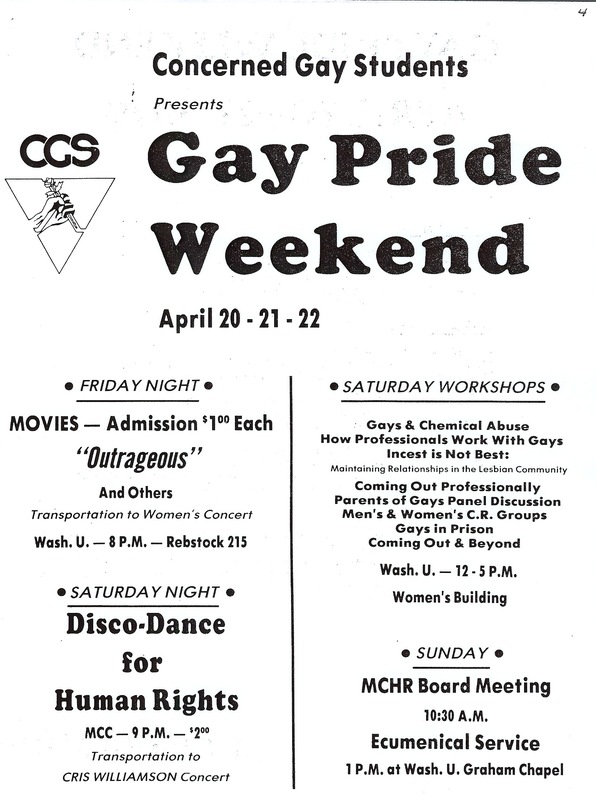 April 20 marks the 40th anniversary of Washington University's 1979 Gay Pride Weekend. This was one of several events, including the 1979 March on Washington that occured later that year, that led to St. Louis hosting its first official Pride events in April 1980. Project contributor Jim Andris has researched and documented the 1979 events at Washington University. 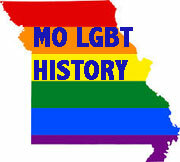 Take a moment to learn about this St. Louis LGBTQIA+ historical milestone. Stay tuned for future 2019 anniversary year commemorations and features. Link to Andris article and research. 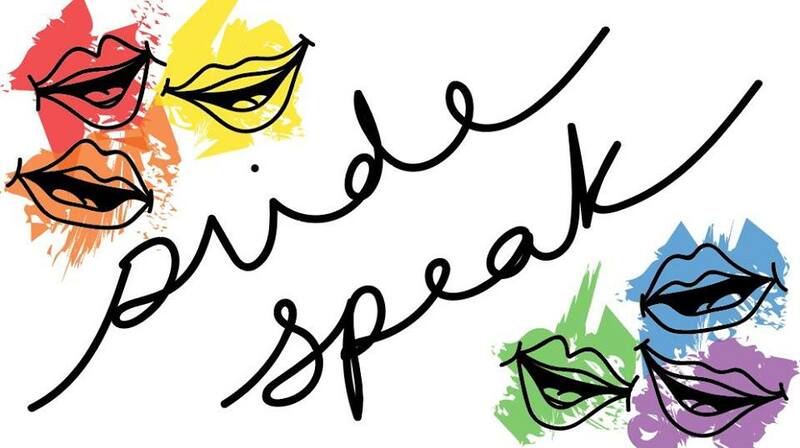 February 24, 2019: The Project is honored to be featured by PrideSpeak, a new photojournalism project on Facebook capturing LGBTQ stories from across the nation. February 21, 2019: Throughout 2019, the Project will be acknowledging a series of important milestones in local LGBTQIA+ history. Here is our current inventory of anniversaries. Please let us know of any others. Stay tuned for some exciting news about the various regional events that will be taking place to commemorate these milestones.